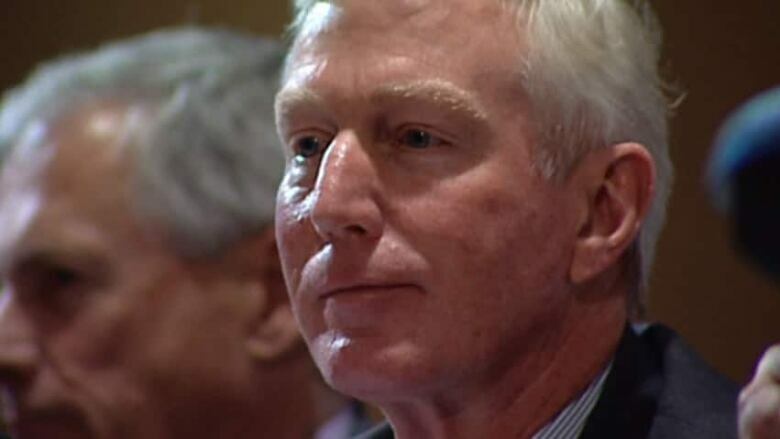 Former Alberta finance minister Ted Morton is calling on the province to introduce a sales tax to ease its dependence on resource revenues. Last week, Premier Jim Prentice said the financial crisis was the worst the province has faced in 25 years and that Alberta is forecast to end this year with a $500 million deficit. With 20 per cent of the province’s budget coming from oil and gas revenues, Prentice said Alberta could lose $10 billion if oil prices stayed under $50 a barrel for the next year. Morton, now a senior fellow at the University of Calgary’s School of Public Policy, said the government has had decades to deal with the boom-bust cycle that comes from relying heavily on oil revenues. He said recent high oil prices only served to hide the problem. Morton said the province needs to consider two options to get out of the boom and bust cycle: consider a provincial sales tax and return to the idea of putting oil revenue into the Heritage Fund. The fund was created in 1976 with the intention of investing 30 per cent of the province’s revenue from non-renewable resources each year. In 1986, the royalty contributions to the fund stopped. Morton said that made the province more vulnerable to the ups-and-downs of volatile oil prices. He said the government must start building the fund again, which would provide stable interest to help fill provincial coffers. The idea of a sales tax has been floated for years, but past premiers have vowed to not introduce one. Morton said Prentice needs to seriously consider a tax to ease the pain caused by plummeting oil prices. Morton said the tax would be easy to administer if it was tied to the GST, like the Harmonized Sales Tax used in other provinces. He added that, unlike other ideas, it would be able to raise money quickly. A PST, he argued, would have a minimal impact on foreign investment and attracting talent to Alberta, which he says are necessary for keeping the province competitive. Still, he admitted that it would be hard to sell some people on the idea. He suggested Prentice take a page from the playbook of Ralph Klein, who travelled the province as premier to persuade Albertans that budget cuts were necessary to reduce the debt. Morton said a same conversation needs to be had about the sales tax.